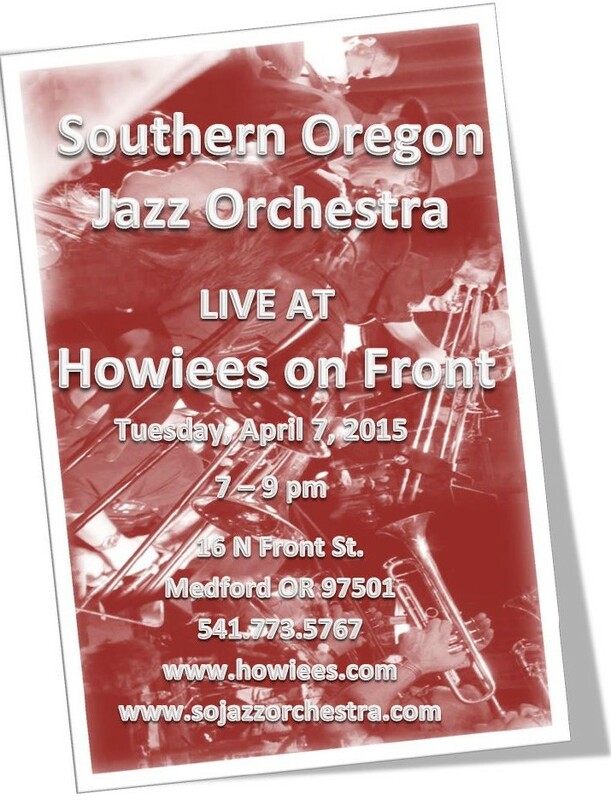 SOJO at Howiee’s on Front 4/7/15 7-9pm! 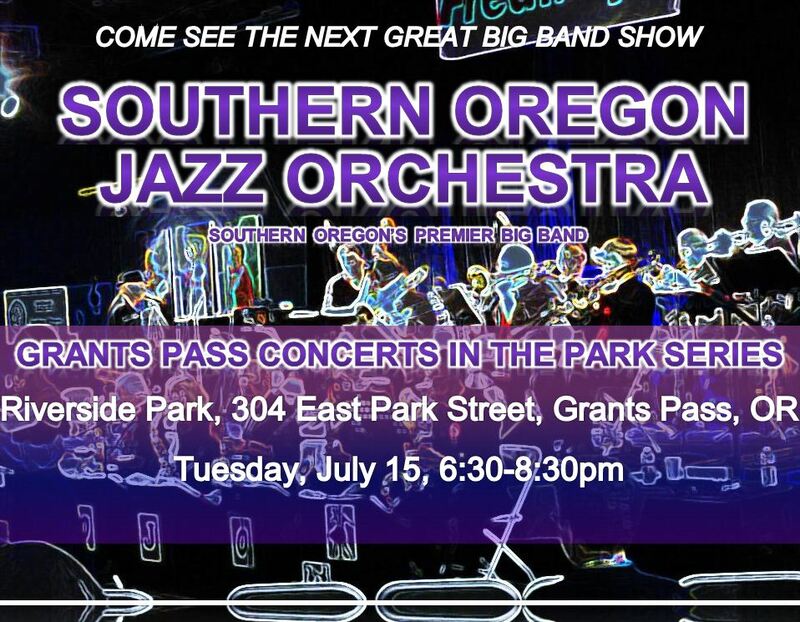 This entry was posted in Southern Oregon Jazz Orchestra on June 25, 2014 by diannestrong. SOJO at the Medford Jazz Festival in October! SOJO at the Avalon in October! 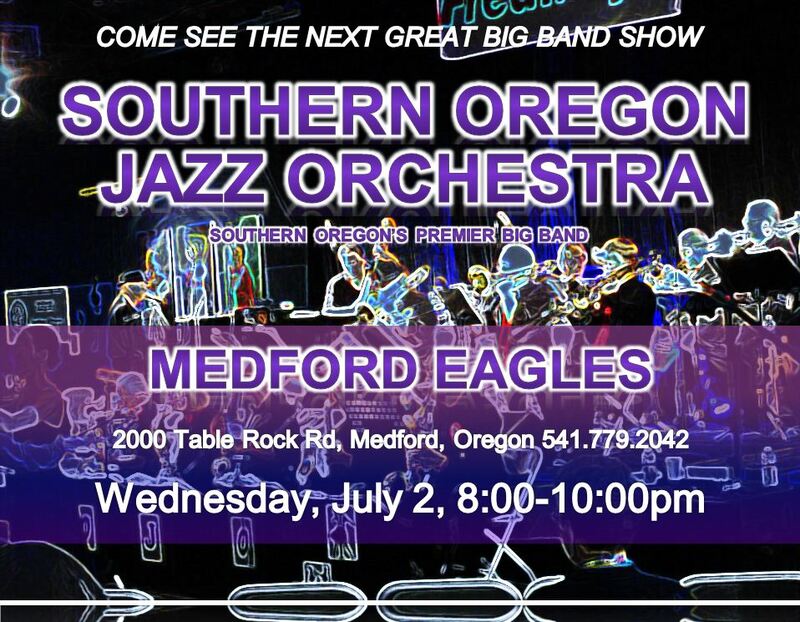 SOJO at the Medford Eagles in October!